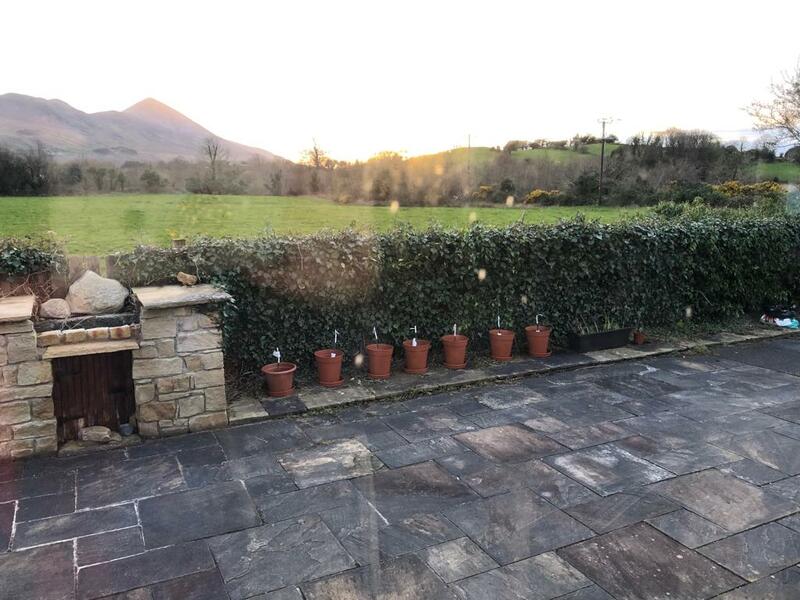 2019 March 23rd : Lots of apple trees grafted today , soon to be planted out in and around Westport. You can spot seven of them in the photo! Thanks Paula Halpin for workshop facilitation. 2018 : ELP’s Grafting Workshop this year took place on March 29th at the Quay Community Centre in Westport. Paula demonstrated grafting techniques to the assembled group, rootstocks and scions were from Andy Wilson’s fruitandnut.ie. Everyone was delighted to take home at least one grafted fruit tree to plant in their own garden. Our ELP orchard is infested with Japanese Knotweed from one of the neighbouring gardens – time to find a new orchard space! Apple Tree Grafting Workshop on Friday 4th March 2016 from 11.00am until 2.00 pm in the Quay Community Centre, Westport. Great workshop at the Quay Community Centre today! We concentrated on grafting locally grown apple trees- scions and rootstocks came from Andy Wilson’s fruitandnut.ie. 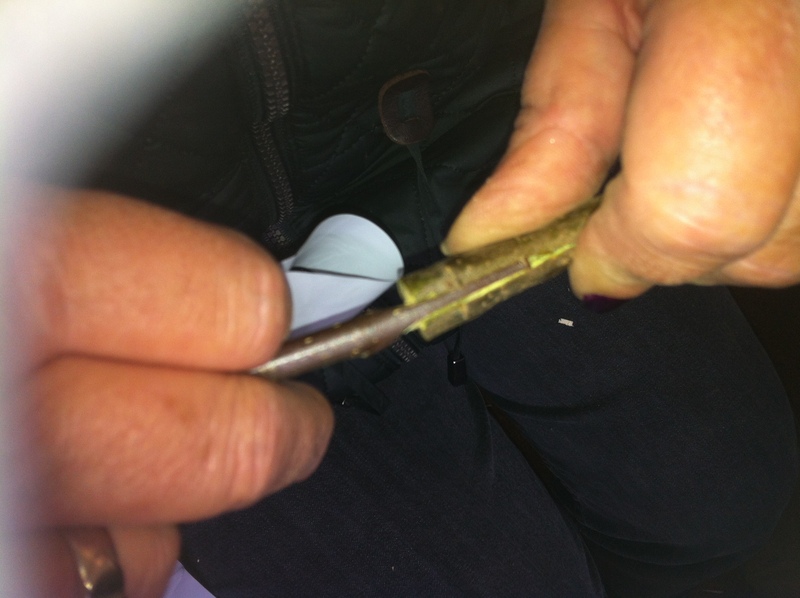 The workshop included demonstrations on grafting techniques and participants took home a grafted fruit tree.The cost for this workshop was €25.00 and places were on a first come first served basis. 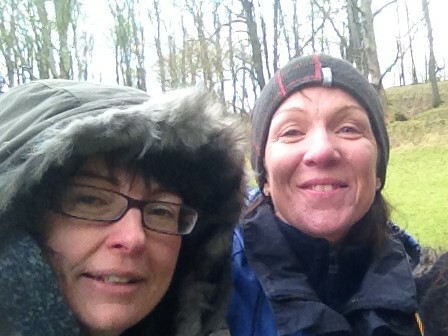 2015: Everybody left happy after our Edible Landscape Grafting workshop this morning. People got to take home their own grafted apple trees. We got to add 20 new trees to our nursery orchard with grafts from an old (cider) apple tree from Westport House. Thanks Andy Wilson for facilitating and to the Quay Community Centre for the great venue. 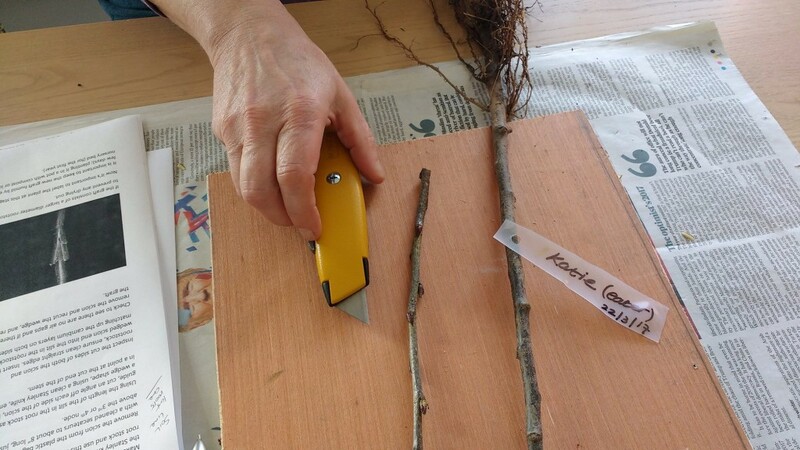 2014: At our Edible Landscape Project grafting workshop on March 29th 2014, we grafted trees using cuttings taken from 3 very well established Westport gardens. Anecdotal evidence tells us these old varieties may even have originated in the original Westport House orchard. Over 20 successfully grafted trees were planted out in Nursery beds in Westport College of Further Education where the workshop took place. 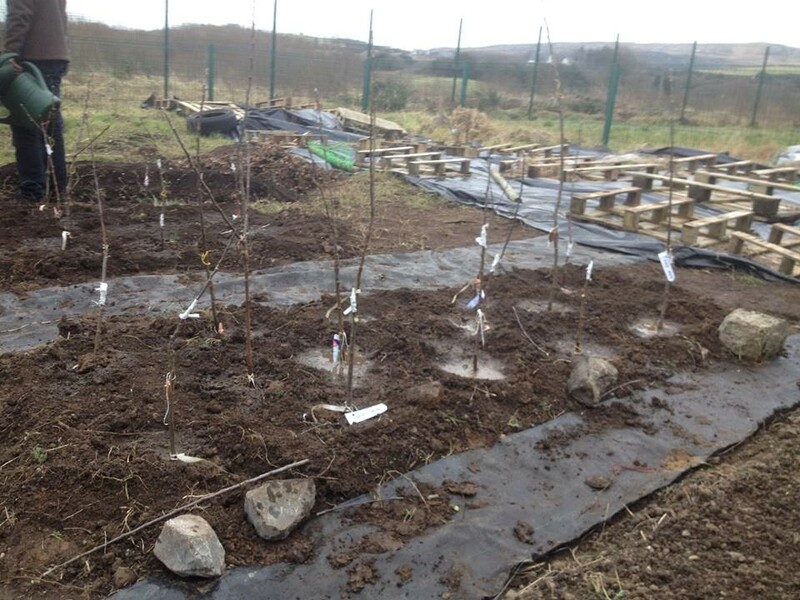 Grafted trees will later be transplanted to the ELP mini orchard at the Quay Community Centre before we plant them out in locations around Westport town in workshops in 2016.